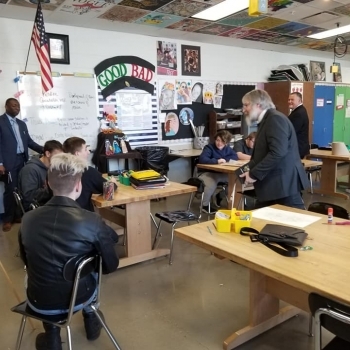 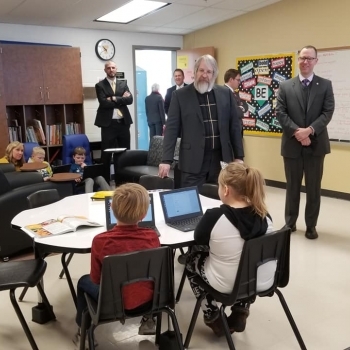 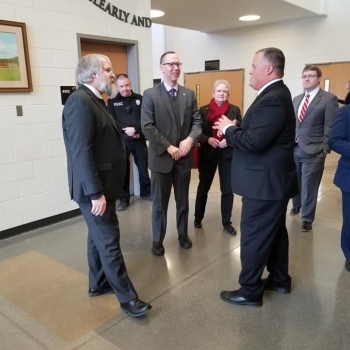 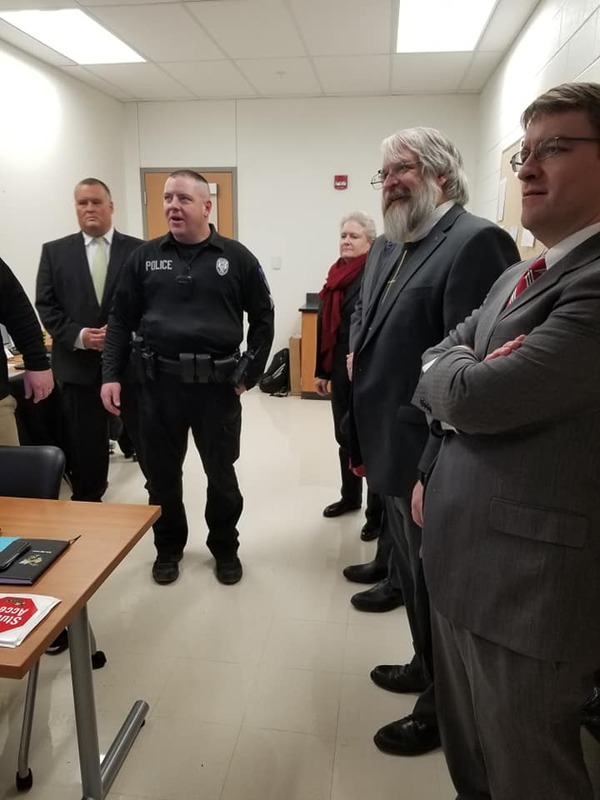 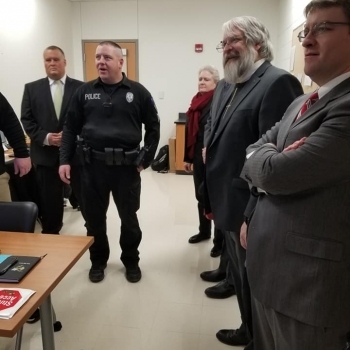 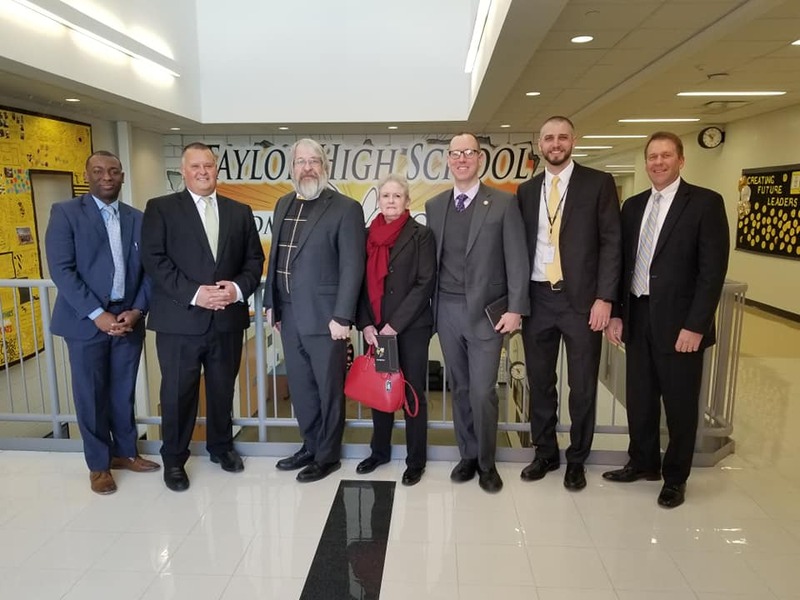 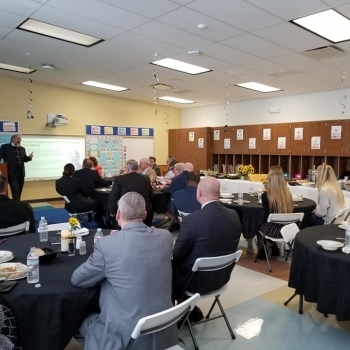 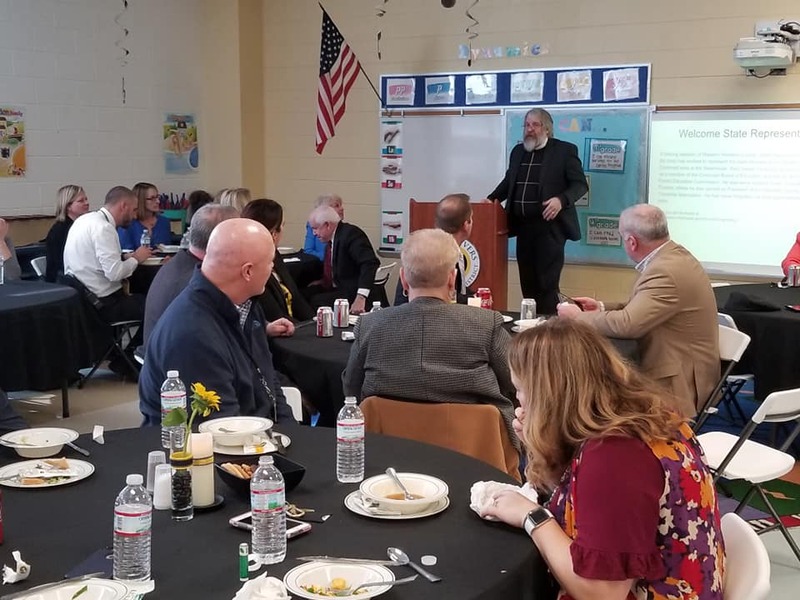 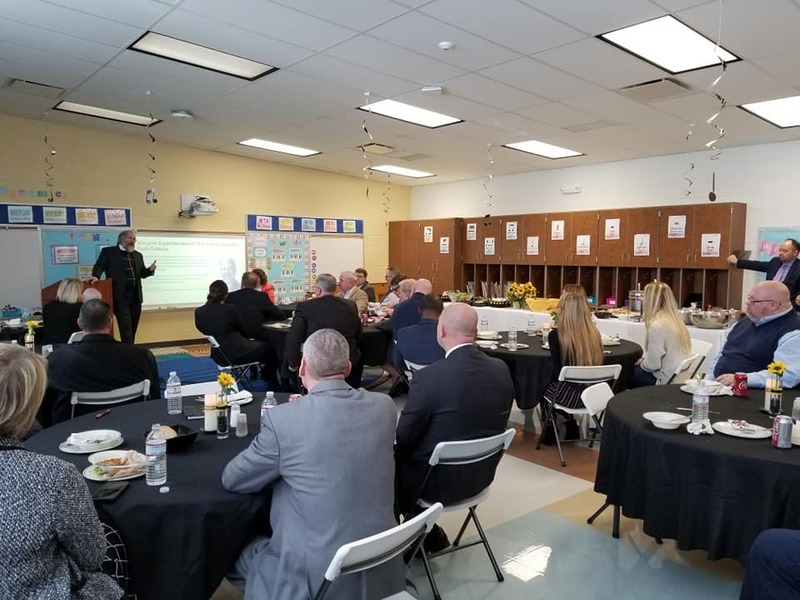 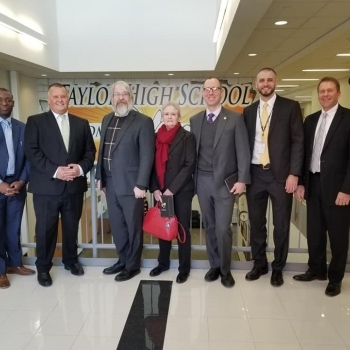 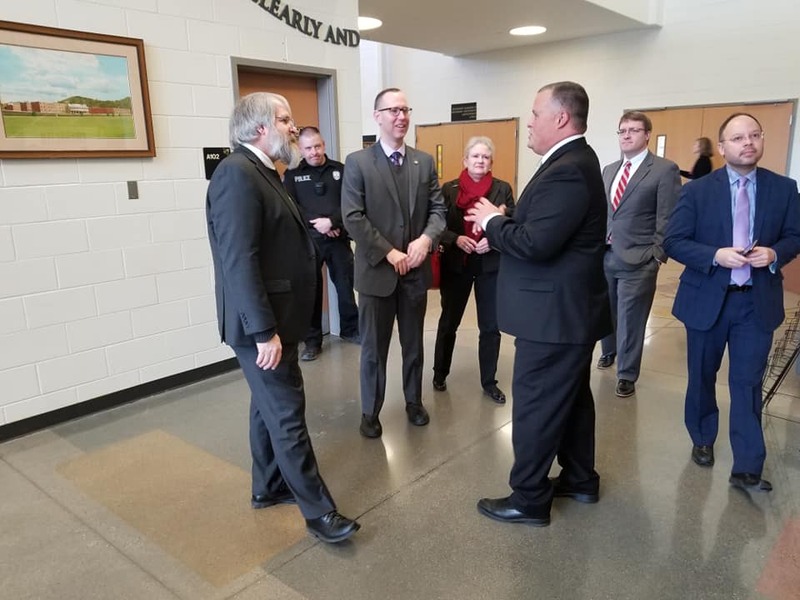 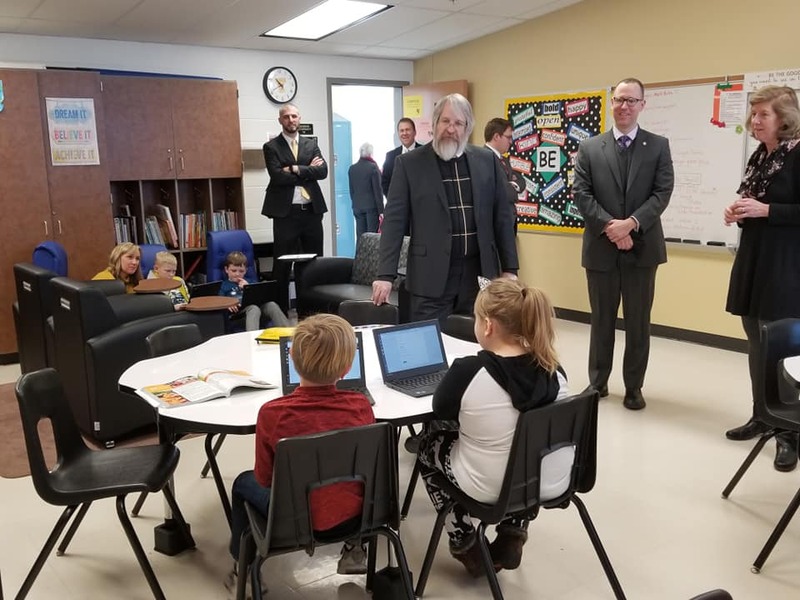 On January 22, 2019, Ohio State Superintendent of Public Instruction, Paolo DeMaria, visited Three Rivers Local School District. 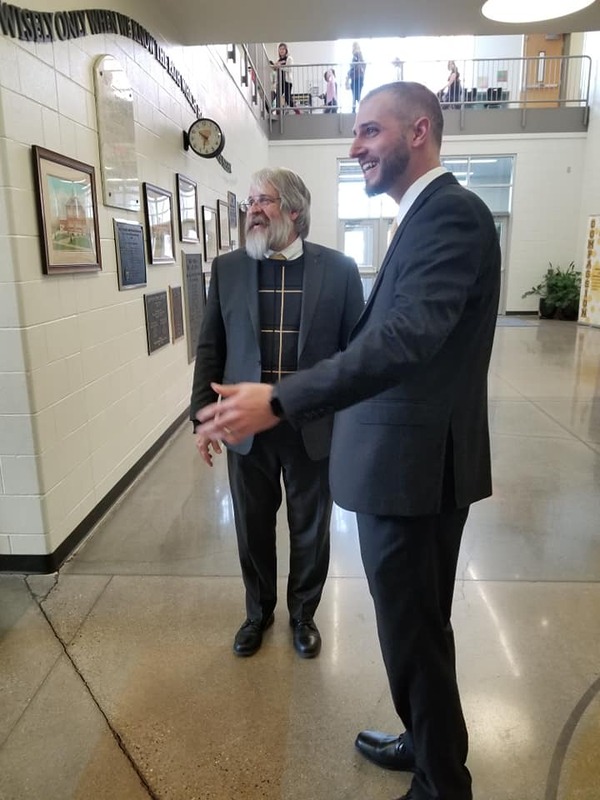 The visit started with a tour of the campus given by Superintendent of Three Rivers, Craig Hockenberry, to highlight the work of the District. 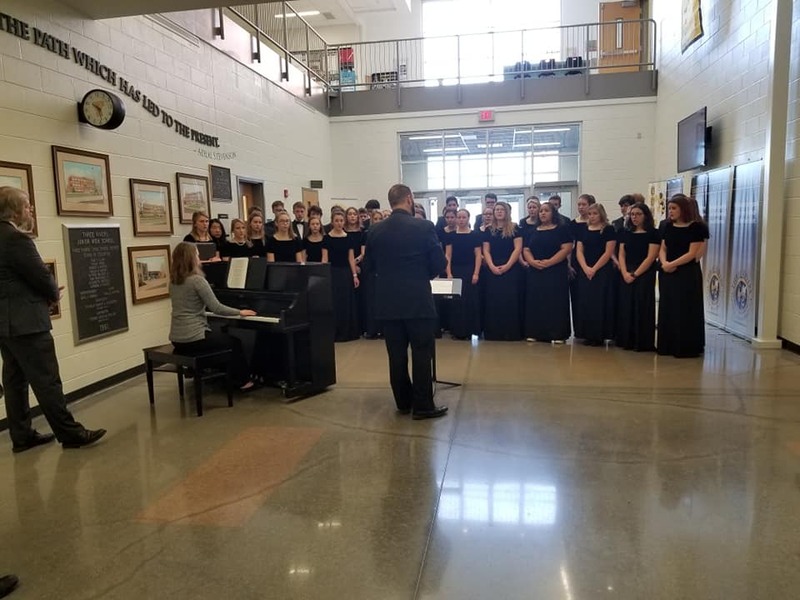 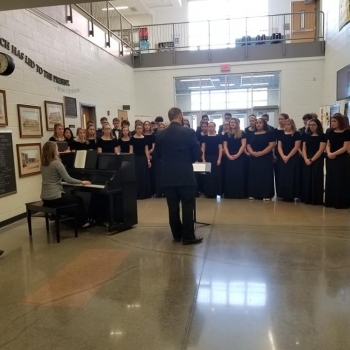 The tour began with the choir singing two songs to Mr. DeMaria, Louis Blessing III, and State Board Member Jenny Kilgore. 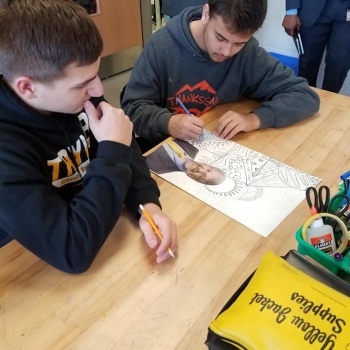 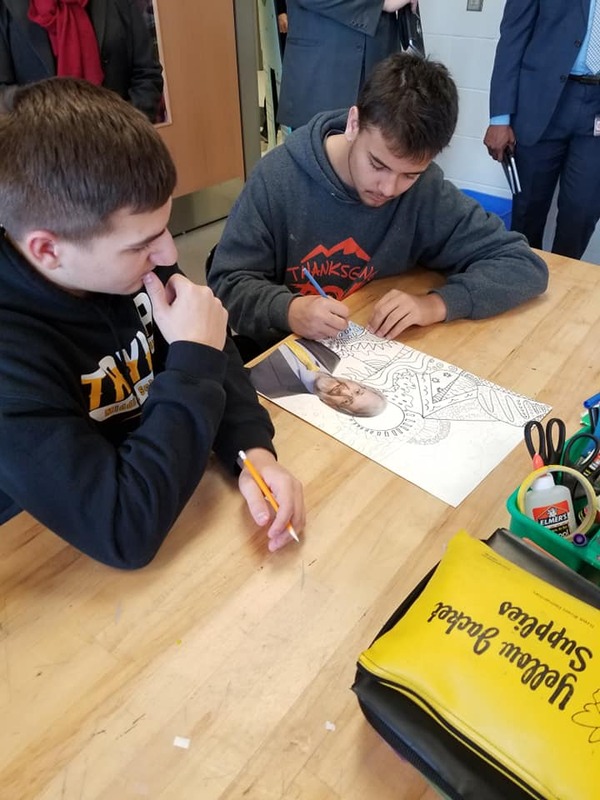 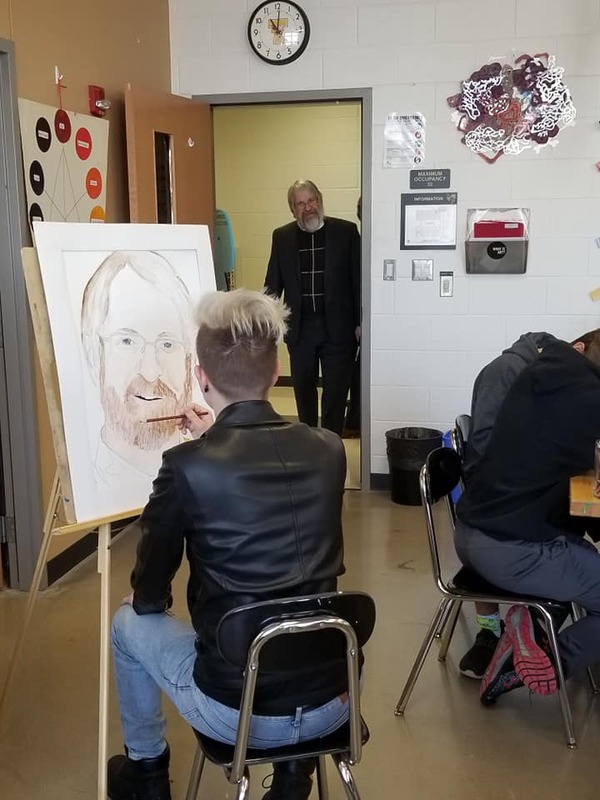 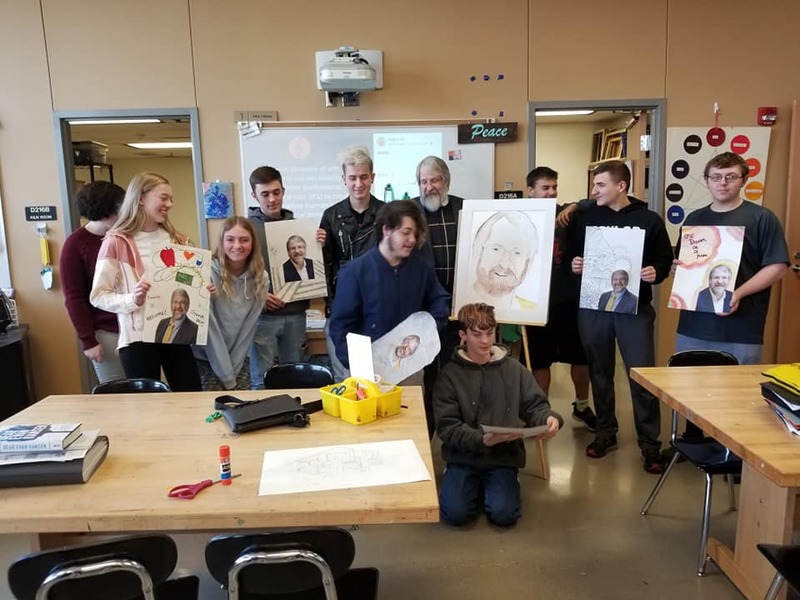 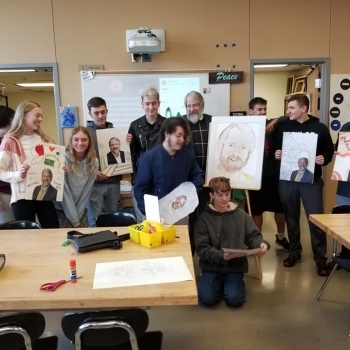 The rest of the tour included visits to the ROST program, TRLSD's gifted class, safety room, and a surprise stop in Mrs. Heisel's class where students were all painting portraits of Mr. DeMaria. 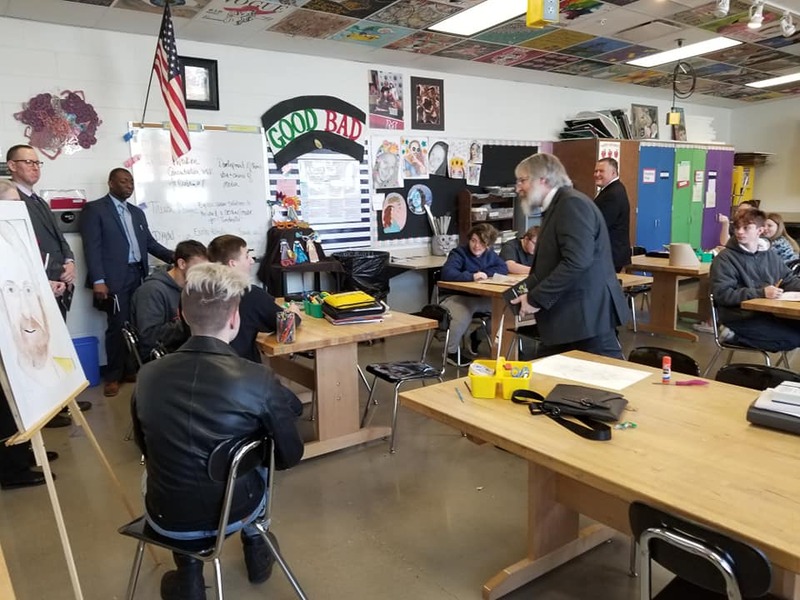 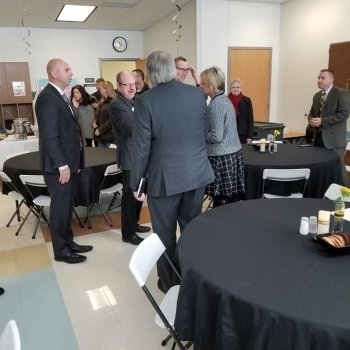 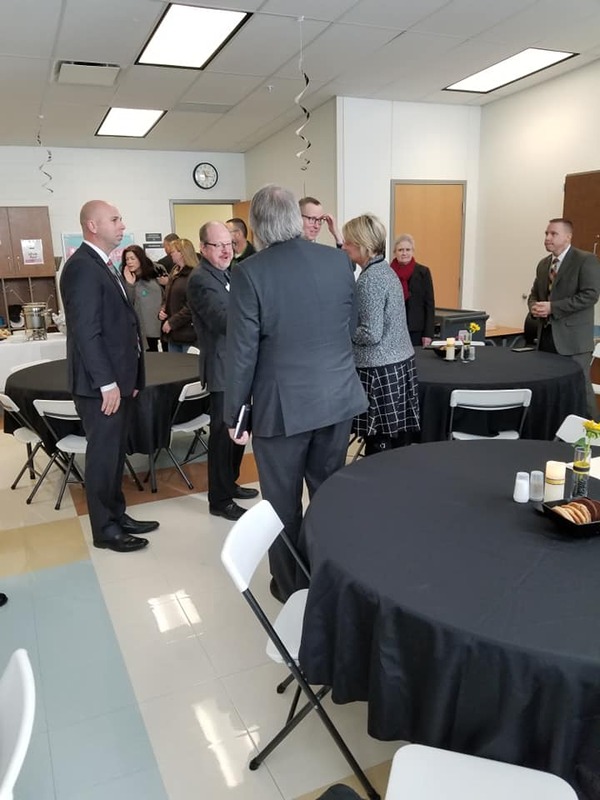 The State Superintendent engaged in conversation with many students throughout the tour and asked questions about graduation requirements, student interest, educational pathways, and curriculum. 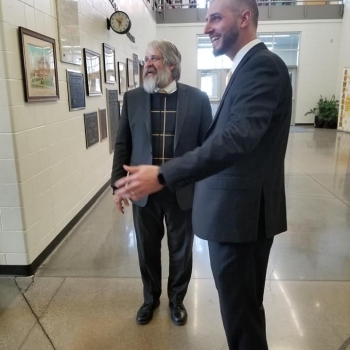 Following the tour, Mr. DeMaria joined Bill Seitz, Three Rivers Board President Chris Oser, Board Member Jim Murphy, parents, students, teachers, and area superintendents. 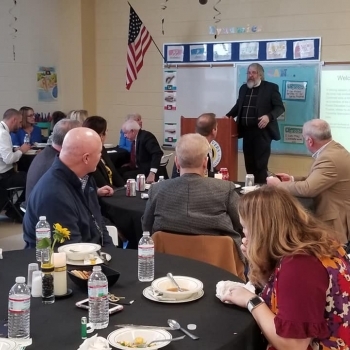 During the luncheon, Superintendent DeMaria updated the guests on the Ohio Department of Education's Strategic Plan and answered questions during a Question and Answer session; topics included the State Report Card and the possibility of removing the A to F score, test anxiety for students and teachers, and mental health.